Providing Loans, Firearms, and More! 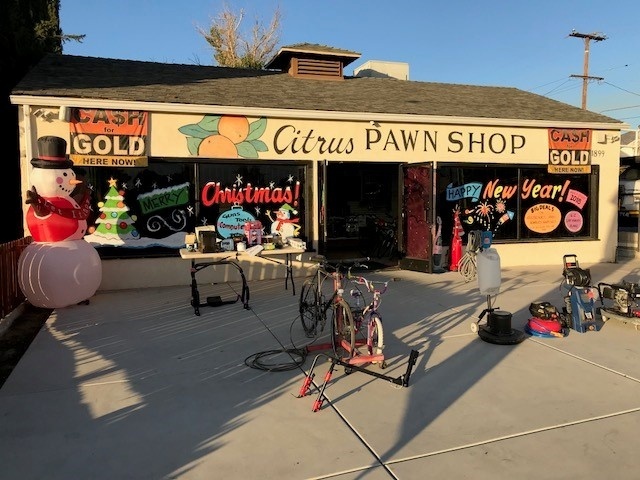 Get more cash out of your valuable items when you pawn them at Citrus Pawn Shop in Mentone, CA. Not only will we provide you with the money you need, but you can also get back the item you have pawned as soon as you have paid your due. No loan is too big for us, so you can be sure that we can help you with your financial needs. Aside from our pawning services, our shop also offers firearms 8% above their costs. Why Choose Our Pawn Shop? Our business has been around for more than four years. We have a spacious sidewalk, and you can immediately see the huge selection of items we offer upon approaching our storefront. Make us your preferred pawn shop! Whether you want to pawn your valuables or buy something from our store, you can count on us to provide you with assistance. Give us a call to learn more about our business and how we can be of service to you.